Rob Zombie’s Halloween (2007) is a remake of the classic slasher film directed by, of course, Rob Zombie. The film follows Michael Myers as a child, showing us how he became The Shape, as well as following the story of the first film. This is a movie I want to like more than I do. To me, Rob Zombie’s Halloween (2007) is a mixed bag. There are great aspects to the movie, and then there are large chunks that make me stare in awe (and not in a good way). Daeg Faerch as young Michael is a mixed bag. I don’t like tearing down child performances, and, to be fair, a lot of my issues with him might have to do with the writing and directing of Zombie. That being said, he is all over the place. I can’t really take him seriously when he’s murdering people when he has this animalistic screech that feels distinctly unlike Michael Myers. Sheri Moon Zombie is pretty good. Of the films I’ve seen her in, she gives her best performance here. William Forsythe as Ronnie is obnoxious, which is due to the writing more so than anything else. Hanna R. Hall is fine as Judith, but she is not a particularly interesting character. 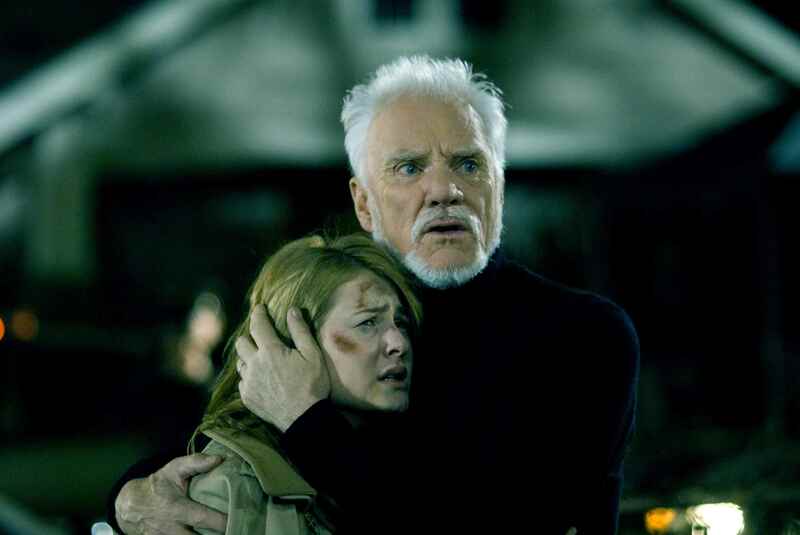 Malcolm McDowell is fantastic as Samuel Loomis. He gets more to do in this film than Donald Pleasance got to in the first movie, and we actually get to see him talk to Michael in the Sanitarium, which end up being some of the best scenes in the entire film. And, of course, we need to talk about Tyler Mane as The Shape. He is extremely intimidating. He plays the role with such a ferocity and brutality, and he is really one of the best aspects of the film. He might be a little too tall for me, but when he’s on screen, I don’t care because he is so fun to watch. From a story and writing standpoint, I’m not a big fan of the first act of this film. Making Michael’s family into white trash and giving him an abusive step dad doesn’t sit right with me. On top of that, the characters are so gratingly written that the first half hour makes me angry. Everything in Act One feels gratuitous. When we get into the second act of the film, the Smiths Grove scenes between Michael and Samuel are actually really good. Watching Michael deteriorate feels realistic. These scenes are actually surprisingly well written as well. I wish they delved more into Myers’ psychosis than they did, however. I do like the usage of masks and listening to Loomis break down the psychology of Michael is fascinating and horrifying. If you removed the Halloween aspect of this movie and made it just about a child who committed murder and is being psychologically evaluated, I would definitely still watch it. Then we move into Rob Zombie’s retelling of the basic story of the original film. Compton’s portrayal of Laurie Strode and the writing for her is really well done and stands as much better than I had expected up until that point. The way the finale plays out is pretty different and the final minute of this movie is great, despite some choppy writing reminiscent of Act One. The cinematography is a mixed bag for me. I don’t understand for the life of me why it is the camera in Rob Zombie films has to shake so much when anything violent happens. There are some sequences that just feature conversations that shake for some reason. I understand if people want that style, as it does give the film a more gritty look, but coupled with Halloween‘s bland color palate, it just makes the film ugly for me. There are some well-directed sequences in the back half of the film, prior to the murders beginning and there are some good uses of the autumn back drop. There are also some awesome shots of Michael looming over his victims as well. The musical score by Tyler Bates is fantastic. Bates is one of those composers that doesn’t get enough credit on anything he does. He produces some great renditions of classic Halloween music, as well as new music made just for this iteration. He has a great grasp of how to push a good scene further with music. I think the best piece of new music in the film is “Home Movies/ You Ain’t My F—kin’ Boss”. The kills in the film are solid. Some of them are just redone masterfully from the original, while some bring unique flair. Largely, they revolve around Michael using his signature kitchen knife. It feels oddly right that that would be the case, but also partially it feels repetitious. I wish there was more variation, and I actually wish he’d have changed up the deaths he redid. Seeing iconic demises more than just slightly differently would have gone a long way to making the kills feel fresh. At times, it felt like Zombie substituted creativity of the kills for more buckets of blood. This is a pretty brutal and bloody film. For future reference, blood does not equate to scares. Besides those faults I already mentioned, I think Halloween (2007) is a little too long. The film clocks in at about two hours, which isn’t normally an issue so long as you have a film that justifies that runtime and flows well. The problem is that the material here doesn’t justify its length in my opinion. Perhaps, it ties into my flaws with the first act, as that first thirty minutes of the film is so weak that it does not even warrant inclusion for me. This might also have to do with the fact that I’m tired of people trying to lend a reason to Michael’s actions, as what is scariest is what we don’t know. On top of this, the pacing of the film is sluggish. Halloween (2007) doesn’t have a good flow. Trimming some of the fat in the film would have helped immensely. In general, Rob Zombie’s Halloween is an enjoyable reinterpretation, but it suffers from a directorial vision that feels consistently out of place for the franchise.